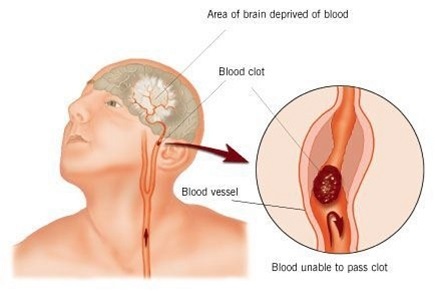 Stroke occurs when blood supply to the brain is disturbed, resulting in loss of proper functioning of the brain. It was also known as cerebrovascular accident or CVA in medical terminology. When the brain cells do not receive blood, they are not able to function properly. This can result in improper functioning of limbs, inability to speak, understand or even see, due to loss in vision. This can happen mostly to one side of the body. Stroke is an emergency, which can cause permanent damage or even death. It is a leading cause of disability in adults and death as well. The risk factors for it include hypertension, diabetes, smoking, high cholesterol levels, etc. It is important to get diagnosed properly and for that reason we will look at what the nursing diagnosis for stroke is. Nursing diagnosis for stroke can vary and be done using different techniques. A CT Scan, without using any contrast, MRI scan, Arteriography and Ultrasound using Doppler can be performed. A neurological examination like the Nihss can also be done to diagnose a stroke. The results from imaging technique are used to make a clinical diagnosis of stroke. It helps in finding the sub-type and the cause. Blood tests are not routinely done to diagnose stroke, but they can be done to find the cause of stroke. This is caused due to Hydrocephalus; in this condition, there is disturbance in the flow, absorption and production of the cerebrospinal fluid in the brain. It can occur in very young babies or in very old people. Check for decrease in cerebral perfusion and increased ICP. Compare neurological status with baseline frequently. Check blood pressure in both arms, heart rate, respiration, pupil for size, shape and reactivity to light. Give lot of bed rest, keep head in elevated position, supplement oxygen as required. This happens when the neuromuscular system is involved, leading to weakness, paralysis either flaccid or spastic, paresthesia and cognitive impairment. Access the impairment regularly and classify on a 0-4 scale. Change position frequently and keep in prone position couple of times in day. Use slings or positional aids if possible. Inspect skin for reddening, color, edema, etc. Teach and help in performing exercise for affected side and use the unaffected part. This occurs when there is impaired cerebral circulation, loss of control of facial or oral muscles, overall weakness and fatigue as well as neuromuscular impairment. Assess the level of dysfunction, whether there is trouble to speak or in understanding and expressing. Give and ask to repeat simple instructions, listen and provide feedback. Make them write simple sentence, if they are unable, ask them to read. Speak slowly and clearly, give adequate time to respond. Speech therapist can be consulted and referred to. This is related to psychological stress which can be triggered by anxiety, changed sensory reception, transmission and integration which can be caused due to neurological deficit or trauma. Observe the patient for behavior like crying, agitation, hallucination, hostility, etc. Keep communicating with the patient, while speaking in calm and quiet voice. Check perceptions, visual deficits and reorient when possible and required. If they are inattentive to body parts, make them see and become aware. This is related to crisis like situations being vulnerable and any other cognitive perpetual changes. Assess the level of change in perception, find the dysfunction, determine which factors are causing stress. Give psychological support, let the patient express feelings and emotions freely. Find out support system when dealing with previous problems. Check if patient is sleep deprived, unable to cope, feeling withdrawn or lethargic. The nursing diagnosis for stroke includes this risk of self-care deficit. In this, the patient shows neuromuscular impairment, loss of muscle control, depression and cognitive impairment. Unable to perform every day activities like bringing food from plate to mouth, to dress up, toileting activities, washing body parts, etc. Assess and check the level of deficit. Provide assistance only when required, if patient is able to do the task themselves. Do not rush, provide adequate time to complete tasks. Give self-help devices like extension hooks, drinking straw, shower chair etc. This can be caused due to neuromuscular impairment. Check and assess the level of paralysis – speech, usage of tongue, coughing episodes, ability to protect the airway. Keep a suction pump handy during feeding sessions. 30 minutes of rest should be provided before eating. Let the patient remain in upright position and ensure oral care is given. Place the food in the unaffected part of the mouth and the consistency of the food should be appropriate. The food should be at usual temperature and water should be chilled. This is due to lack of exposure, cognitive limitations, unable to recall information, misinterpretation, etc. Include the patient and family in discussions and teach the right way for providing support and care. Check for signs and symptoms which indicate further follow up or decrease in functioning. Give written notes and ask to follow written communication, rather than memory. Find out risk factors which can cause harm to general well-being and inform important of balanced diet.